It's the stuffing that's, hands-down, my favorite dish at Thanksgiving. I love the succulent dark meat of a turkey, my Grandmother's No-Cook Cranberry Orange Relish, and fluffy mashed potatoes, but a moist and savory stuffing is a hard thing to beat. 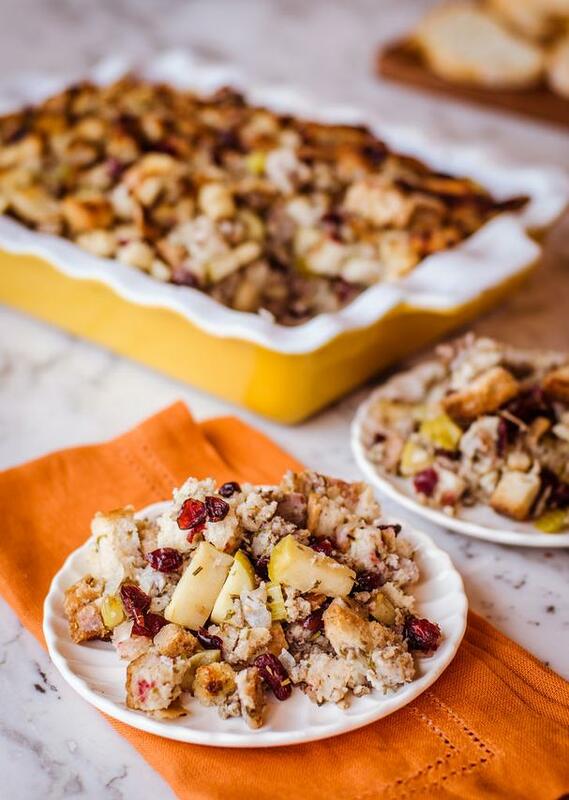 Dallas-based Empire Baking Company is sharing with Foodista readers some of their favorite recipes to make at home for the Thanksgiving holiday and I love their festive cranberry, apple and sausage stuffing recipe (also check out their decadent - and easy! - Pumpkin Bread Trifle recipe here). 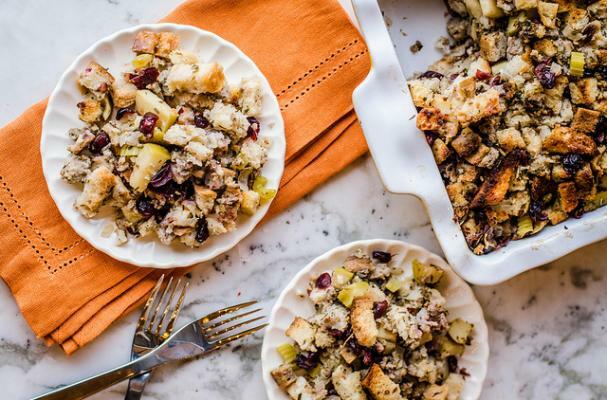 This stuffing is the perfect balance of savory from the sage sausage and sweet-tart from Granny Smith apples and cranberries, which also add a splash of color and texture. Get started early and make your stuffing the day before, then cover and reheat while your turkey is resting before carving!